At The Grounds we love creating a sense of community with our guests and serving up special experiences. 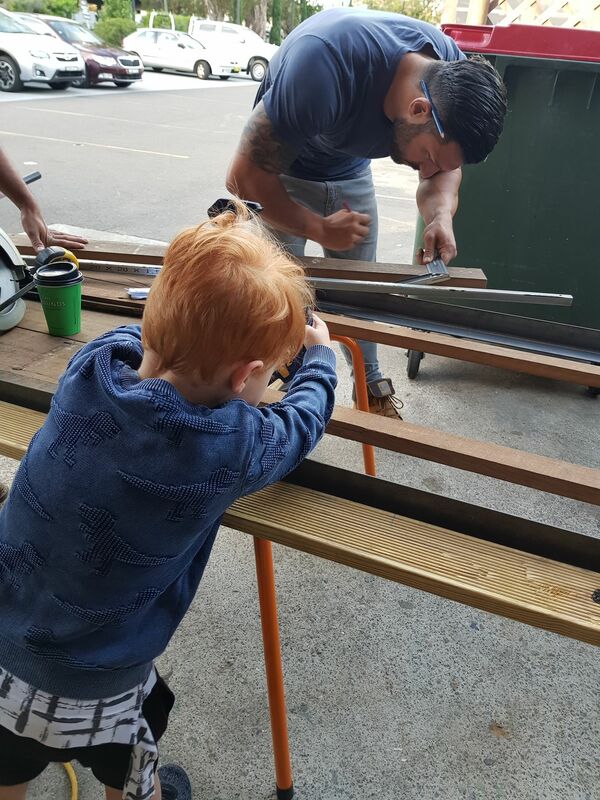 One little guy in particular has almost become part of the furniture with his frequent morning visits and never fails to make the whole team’s day with his help! So, in honour of our little biggest fan, Finn, this post is dedicated to him. 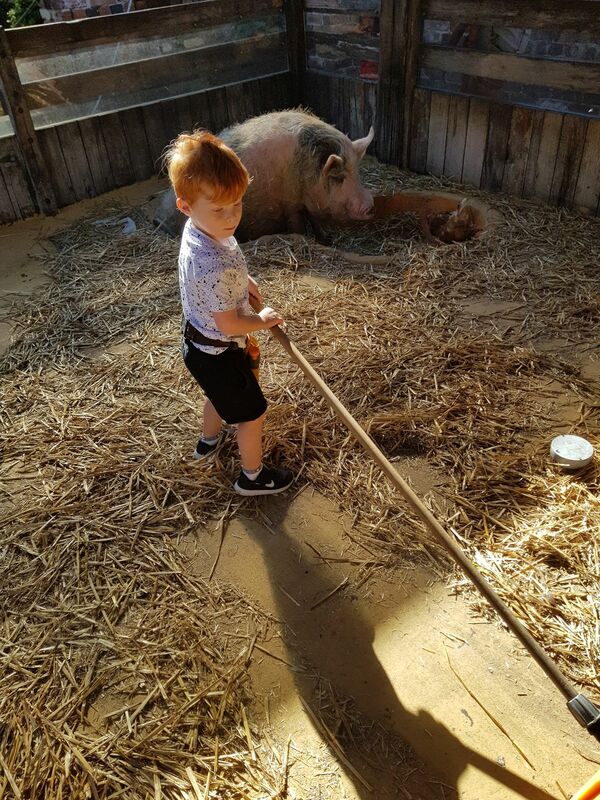 We sat down with our future employee (fingers crossed), Finn, and his dad, Shannon, to get an insight into this little guy’s morning routine and why The Grounds is such an important place for them. This family’s love for The Grounds actually started before Finn’s time, when Finn’s parents Shannon and Nikki held their wedding at The Grounds in the very early days! 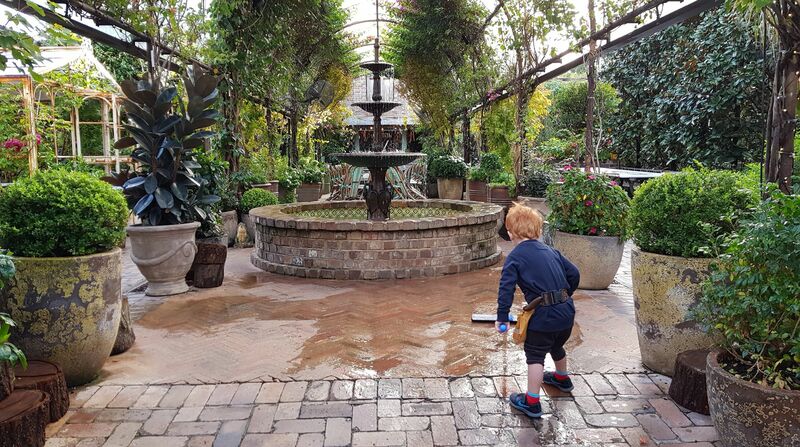 Finn then hosted his first birthday here with a party in the Atrium (not that we think he’ll remember that one) but it does make a lot of sense why The Grounds holds a special place in this family’s heart. 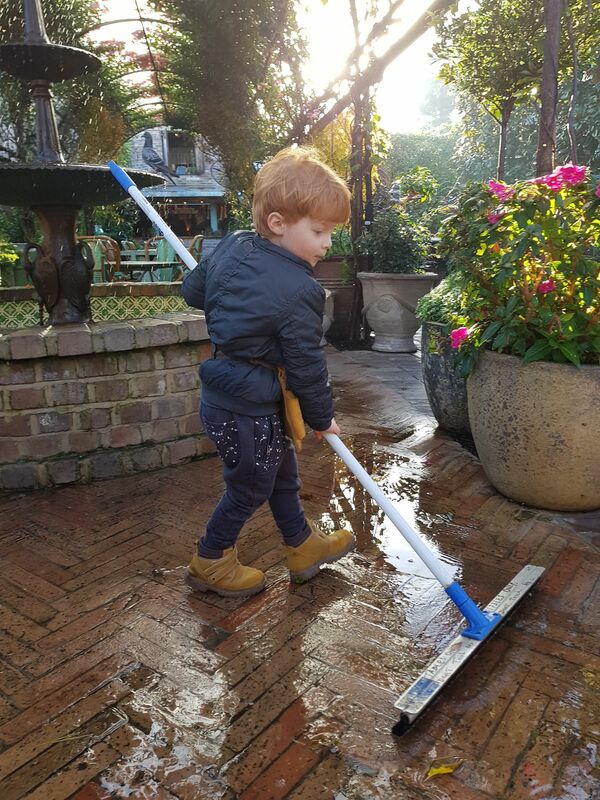 Finn’s morning routine goes a little bit like this… First up – he’s straight into The Garden. Finn searches for Ali the Groundskeeper and Greg the horticulturalist to see what they’re up to and where he can lend a helping hand. There are no tasks he’s not willing to tackle – we’ve found it’s actually harder work trying to get him to stop helping. 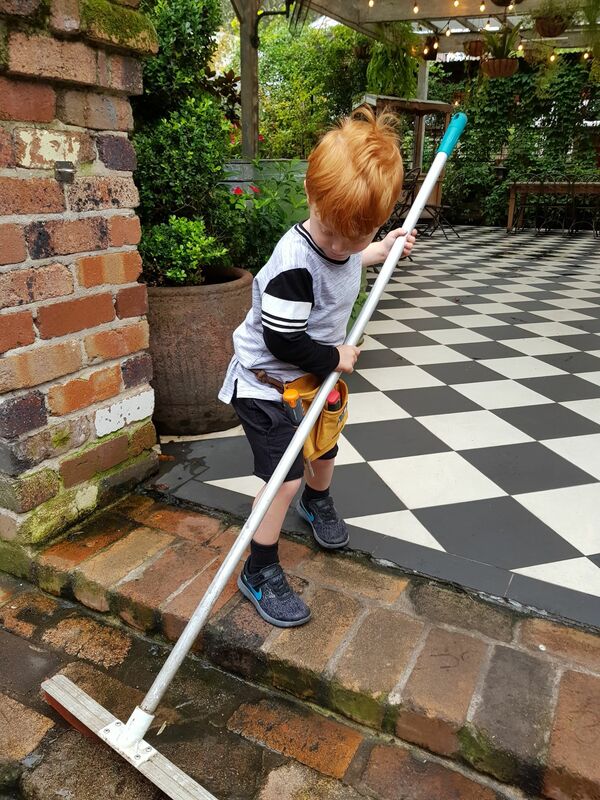 Whether it’s wiping tables from the evening dew, lining up chairs, tidying the garden leaves with the blower, topping up soil in the pots or any other jobs going, Finn’s all hands on deck. Next up, he heads into The Cafe. 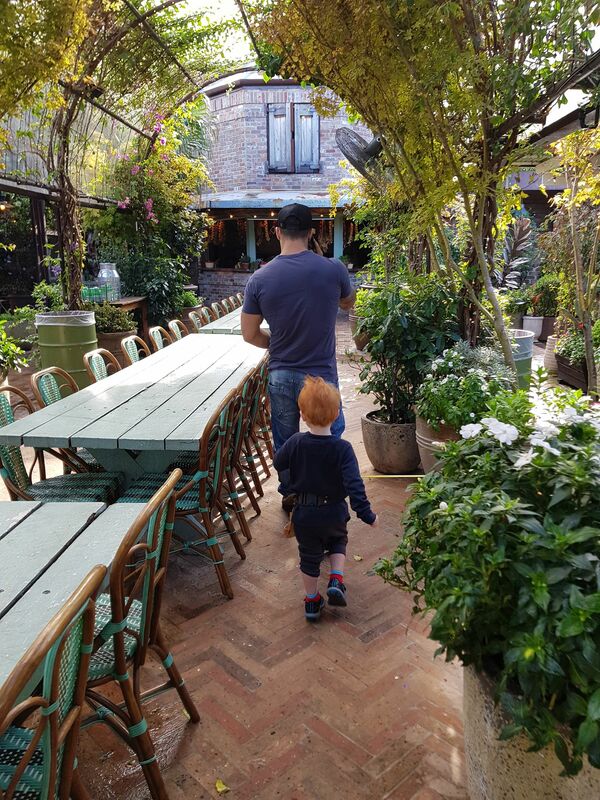 This is where Finn greets all the staff as he orders his usual (you best believe this little guy has a ‘usual’). He grabs his mini cupcake and babycino to-go of course, the morning’s young and there’s still a lot to get through. He then pops in to the Bakery to say good morning to the Bakers & Pastry Chefs, rolls out a bread loaf or two and inspects what’s coming out fresh from the oven. After a little stint in The Cafe, it’s time to roam free in The Garden again and search for Finn’s fave Grounds’ guy – our top dog Ramzey! Finn’s got a lot of talents, and being Ramzey’s shadow is one of them. You’ll find him sporting a matching dress code with toolbelt and all. No matter what Ramzey is working on, Finn will join in and help. 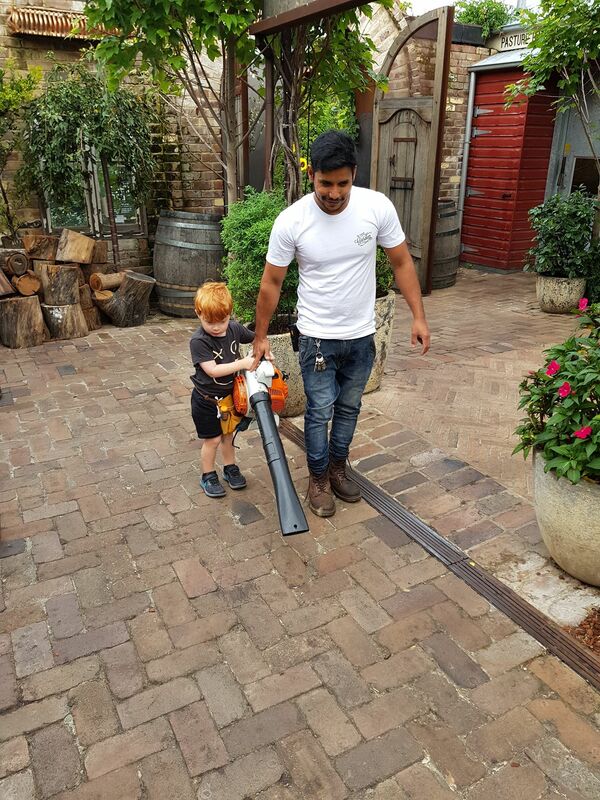 If you’ve been to The Grounds and seen one of our exciting laneway installations, chances are you should be thanking Finn for whipping it up! Shannon said “Finn looks up to Ramzey so much – Ramzey treats him like he is his own. He welcomes Finn with open arms everytime he sees him. Even at home, Finn is always asking to go see Ramzey or to call him on the phone. Ramzey has become a mentor to Finn in my eyes”. 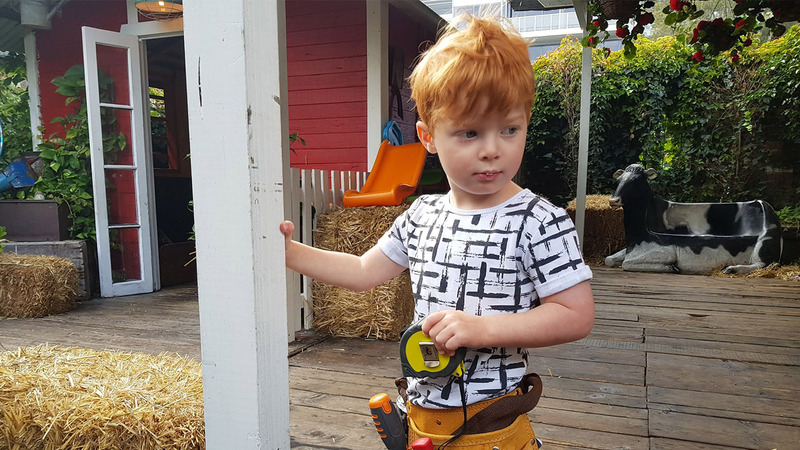 Shannon thinks becoming a handyman for The Grounds will be at the top of Finn’s job list but we won’t get too ahead of ourselves. He’s already buddy-buddy with the guys from the local police, ambulance and fire brigade services too so it seems like we’ve got some stiff competition! All we know for sure is that this kid is going places and we’ve got a pretty big soft spot in our hearts with his name written all over it. 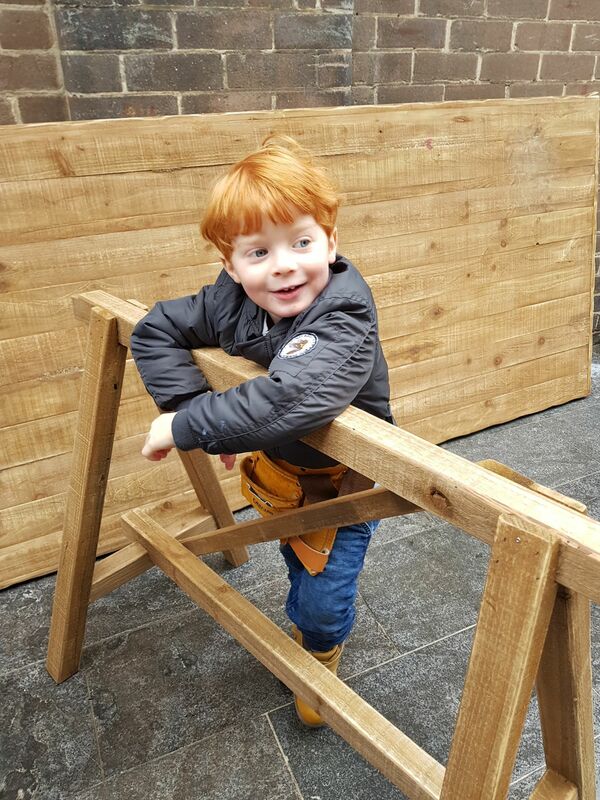 We think it is pretty amazing that the Grounds plays such a big part in this family’s life, we can’t wait to continue to watch Finn grow up and snap him up as an employee as soon as he’s old enough to work (officially).